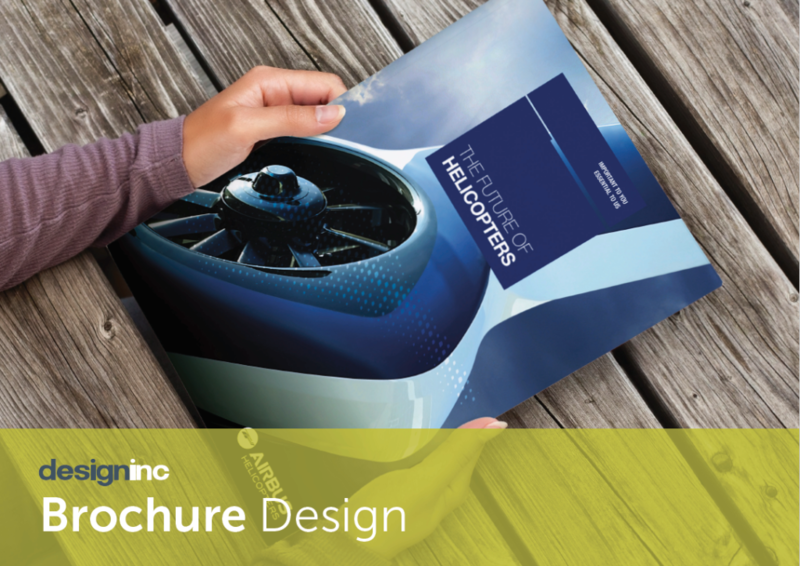 The brochure design team at Design Inc know all about brochures and the many types of brochure design. Did you know that brochures come in all shapes and sizes…And uses. Here, at Design Inc towers, our brochure design team makes life easy and simply define a brochure as a multi-page bound document used to promote products, services and/or solutions. This means that catalogues, magazines, books, reports, manuals, prospectuses, etc etc, all fall within this category too. And, that’s good for us, as we have years of experience in providing all these different types of brochure. The more we understand our client’s marketing goals, the better placed we are to recommend the most appropriate types of brochure design. For example, do they need to simply make an announcement, keep clients informed, attract new business, increase sales, maximise ROI, better reflect their brand. 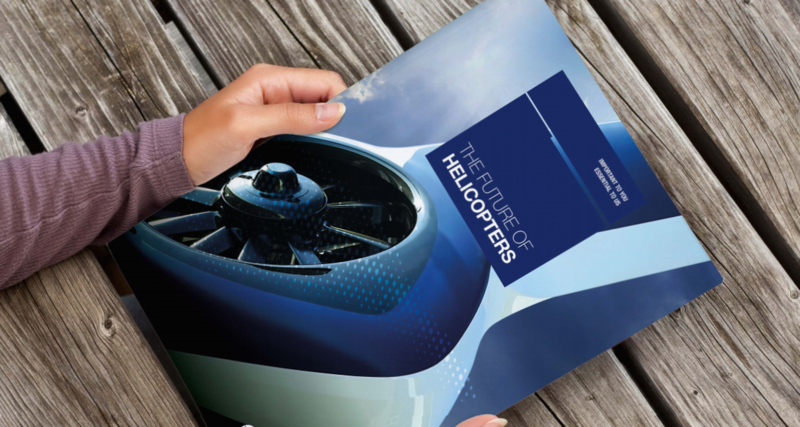 Whatever their goal, our brochure design team are there to support our clients at every step of the way. An annual report is an annual document that public corporations have created that provide a financial overview of the company’s fiscal year. This often includes a message to shareholders, financial statements, operational & corporate information, etc. The annual report has now become a regular component of corporate financial reporting. A book is a set of sheets of paper, parchment, or similar materials that are fastened together to hinge at one side. Writing or images can be printed or drawn on a book’s pages. Books are often split into two types: reading books or information books. Reading books are either fact or fiction whereas information books provide details, reference and direction on all sorts of subjects, from architecture to zoology. Books have many pages which need to be bound together with a spine. Covers are either softback or hardback. A booklet is officially a small book however, in terms of usage a booklet is a more informal overview of a product, service or solution. Booklets have a page count of up to 20 pages and are always bound. An unbound version is known as a pamphlet. The company brochure is one of the most common types of brochure requested. Companies have a need to showcase their products and services as well as their values & personality. A corporate brochure is an ideal medium through which to do this. Working alongside the company website, the brochure is a more targeted marketing tool and is provided to their current and prospective clients either through a mailshot, during a meeting or after a request. Company brochures come in all sizes not just A4 and with multiple pages – often from 4pp to 40pp. The design style, paperstock, image quality & tone of voice of the text all go to creating an impression of the company as a whole. A bulletin is a short, regular newsletter or report issued by an organisation. It is not as creatively designed as a newsletter or a magazine and are often devised through a simple page template. A catalogue is a multi-page, printed listing of products available for purchase. Typically designed for retail companies showing product imagery, description, variants and cost. These can be printed in both soft or hard cover. And, in many cases where the page count is over 200pp, these will be printed with a spine. Common examples of catalogues are the Next clothing catalogue, Screwfix hardware catalogue and any holiday brochure you may have chosen your holiday from. A coffee table book is an oversized, usually hard-covered book whose purpose is for display on a table intended for use in an area in which one entertains guests and from which it can serve to inspire conversation. Subject matter is predominantly non-fiction and pictorial. Pages consist mainly of photographs and illustrations, accompanied by captions and small blocks of text, as opposed to long prose. Since they are aimed at anyone who might pick up the book for a light read, the analysis inside is often more basic and with less jargon than other books on the subject. This product is often one of the more costly types of brochure due to the amount of resources it requires. A directory is a multi-page listing of individuals or organisations, although in the case of a company or event directory, it could also be a listing of products, services, etc. Entries are typically arranged alphabetically or thematically with details such as names, contact details. A folder with inserts sheets acts like a company brochure but enables the organisation to select which insert sheet is relevant to include within the pocket inside the folder. This makes it a more flexible and cost effective solution for organisation if they have different clients looking for different services/products. This way those clients are not sent information about irrelevant services/products (which they would if a single company brochure was created). More often than not, the folder is an oversized A4, 4pp with a glued pocket on one of the inside pages. That said, we have designed 6pp or 8pp versions for our clients, with one or more pockets. A guide is an information document that provides direction and advice regarding processes. Organisations often refer to ‘Our handy guide to….‘ and often they are handy in size with common sizes being smaller than A4, so A5 & A6. A guide is often more informal than a handbook or manual. A handbook is a step-by-step user guide providing instruction and information. It details what is given and what is required, explains how to put the presented information into practice, and instructs how to solve problems as they occur. The term ‘handbook’ is commonly used interchangeably with ‘manual’. A magazine is a periodical publication (often weekly, monthly or seasonally) aimed at the general public and containing articles and illustrations, often on multiple subjects. That said, we have supported many industries and companies with their own corporate magazine which is aimed at a specific readership (based on hobby or interest). In this case, the articles are more often based around one subject. In both cases, the publication relies upon sales and/or internal advertising to cover the costs of production. On most cases, magazines have a page count from 20pp to over 100pp and a creative cover with a listing of the internal articles. A manual is a step-by-step user guide providing instruction and information, specifically about operation and maintenance of a product. It details what is given and what is required, explains how to put the presented information into practice, and instructs how to solve problems as they occur. A company newsletter is a regularly distributed publication that is generally about one main topic of interest to its subscribers. Often companies will have an internal newsletter to inform staff of latest company & staff news, successes, events, etc. These are similar to company magazines although very often they have a shorter page count. Company newsletters are, on average, 8pp – 20pp with the first article often appearing on the front cover. A pamphlet is an unbound version of a booklet. This is an informal overview of a product, service or solution. Pamphlets are made up of a number of pages. A portfolio is, in brochure design terms, a collection of materials that work together to promote an individual’s own capabilities. Whilst these can be published as a bound document, often the materials are held together but unbound. A programme is a publication providing a listing and details of items or performers at an event, exhibition or performance. Entries are typically arranged chronologically. It may be provided free of charge by the event organisers to the attendees although most major music & sports events tend to charge for the programme. Often, event programmes will take advertising. A university or school prospectus is a document sent to potential (prospective) students to attract them to apply for admissions. It usually contains information about the institution and the available courses, including advice on how to apply and the benefits of accepting a place. An investor prospectus, on the other hand, is a formal, legal document providing details of a share offer for the benefit of investors. This is issued as a way of informing investors about the risks involved with investing in a stock or mutual fund. The information also guards the issuing company against claims that pertinent information was not fully detailed before the investor put money into a security.